George Williams is an art teacher at Seneca Valley Middle School. 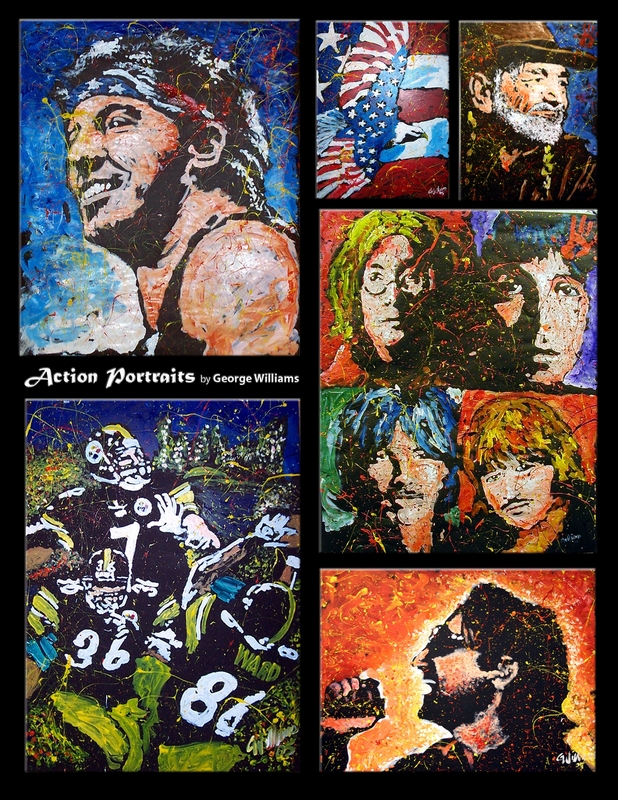 In 2002, to inspire his students, George created the ‘Art Madness’ program of painting large portraits to upbeat music in a short period of time. The display was such a success among the students that word began to travel around the community, which resulted in performances outside of the classroom. 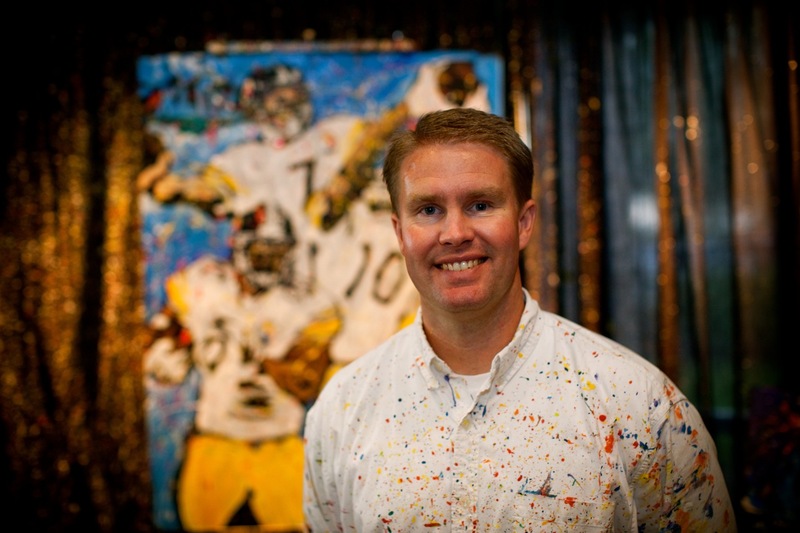 George has since moved on to perform for hundreds of fundraising organizations, corporate events, and community affairs, painting a wide variety of images including rock stars, sports figures, portraits of honored guests, images of company buildings and event logos and themes. An exciting, live speed-painting show by artist George Williams, with his creation of large portraits to a music soundtrack, finishing a single portrait in the length of three to five songs and completing one to three paintings within 60 minutes. 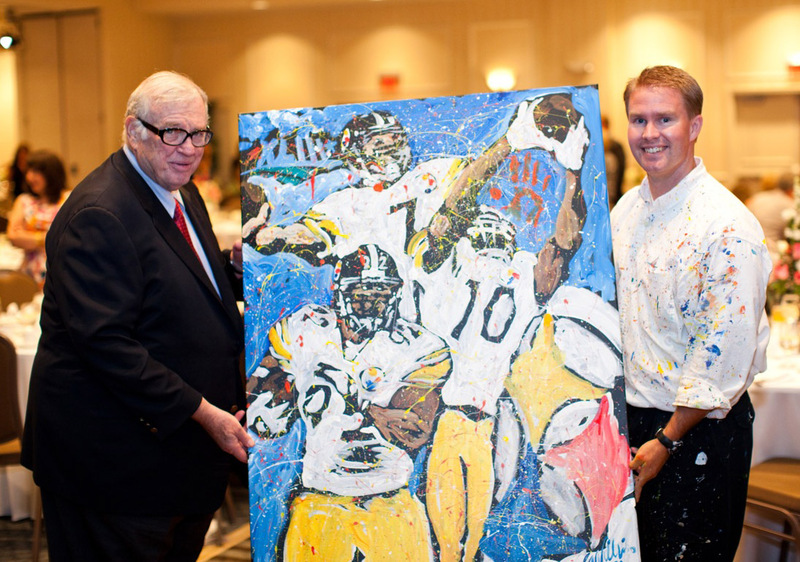 The 3-ft. x 4-ft. size original pieces of art are yours to keep – his paintings have been auctioned off, given as gifts and won by guests attending banquets in a raffle ticket drawing. Choose from his catalog of hundreds of stock images, or have him customize a painting for you. George Williams is one of the most sought-after entertainers in his hometown of Pittsburgh and beyond. Iconic Golfer Arnold Palmer loved George’s action paintings of both he and Jack Nicklaus! George & Andrew McCutchen of the Pittsburgh Pirates at a fundraising event. 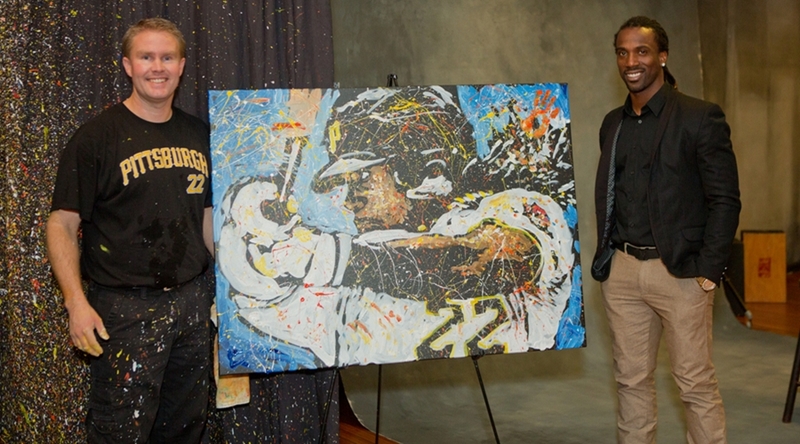 Cutch loved this painting so much, he commissioned one for himself! 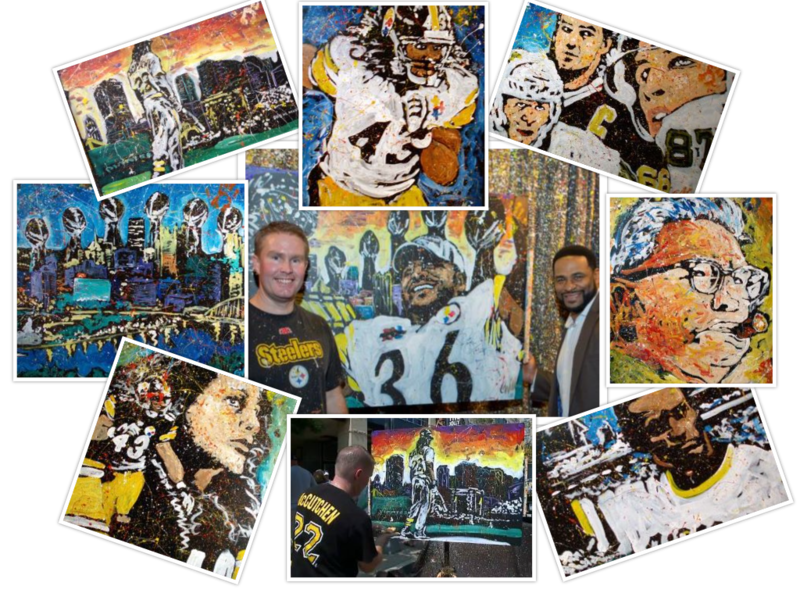 George can bring Pittsburgh sports stars to life right before your eyes! 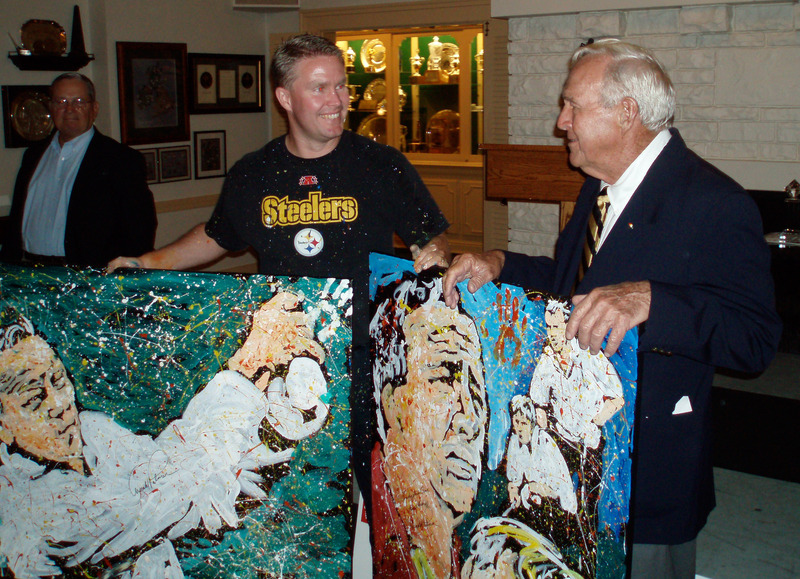 Art Rooney with an Art Madness painting featuring some legendary Pittsburgh Steelers. 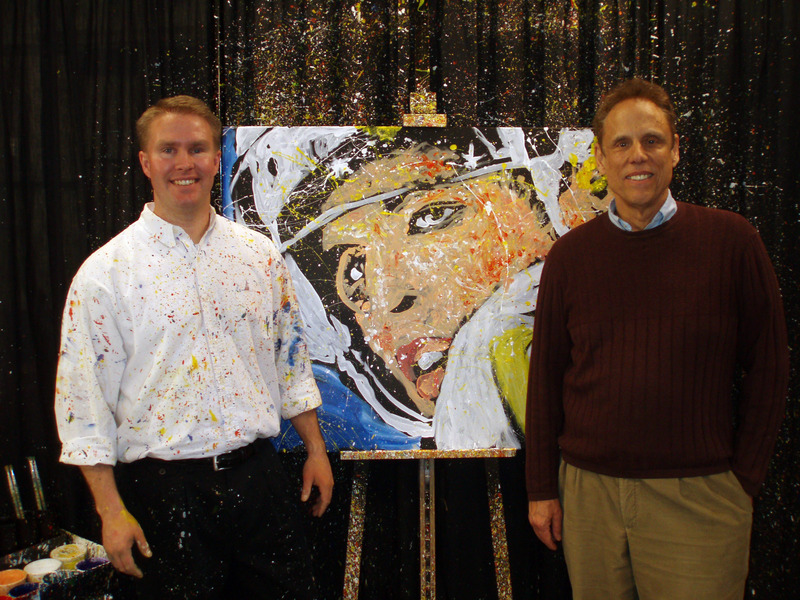 KDKA's Dave Crawley with a popular painting featuring Sidney Crosby. 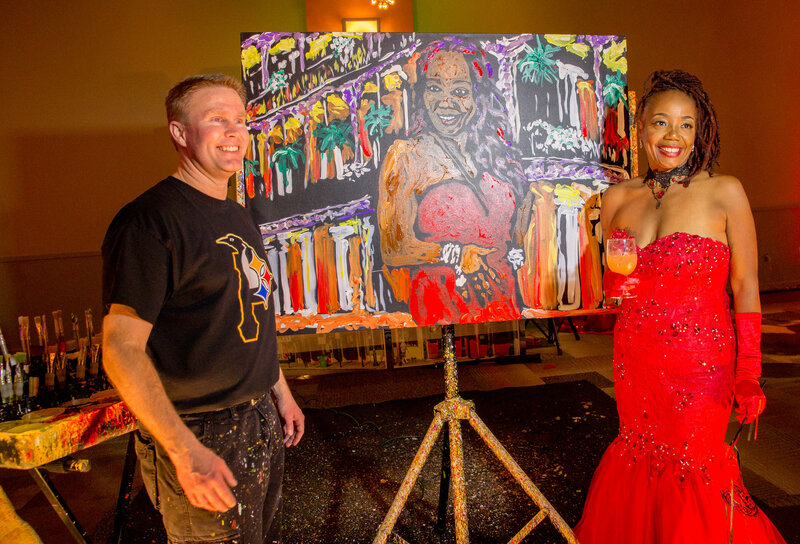 George captured the birthday girl in this gorgeous custom painting – it was the hit of the party! 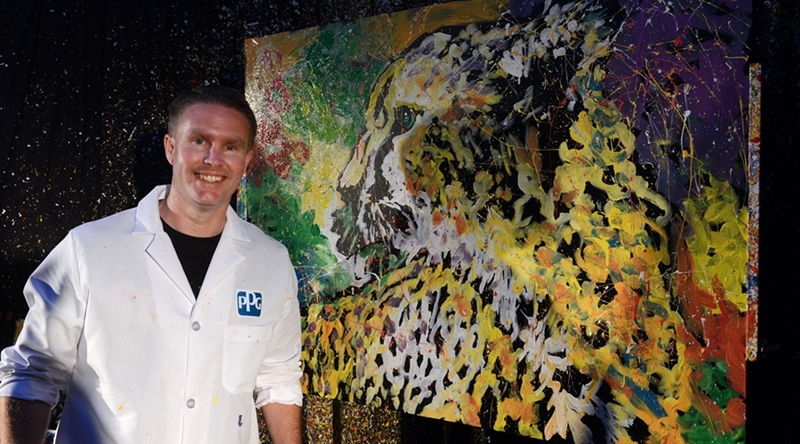 At a special Pittsburgh Zoo event, George's Imagination came "Untamed" with this customized painting! 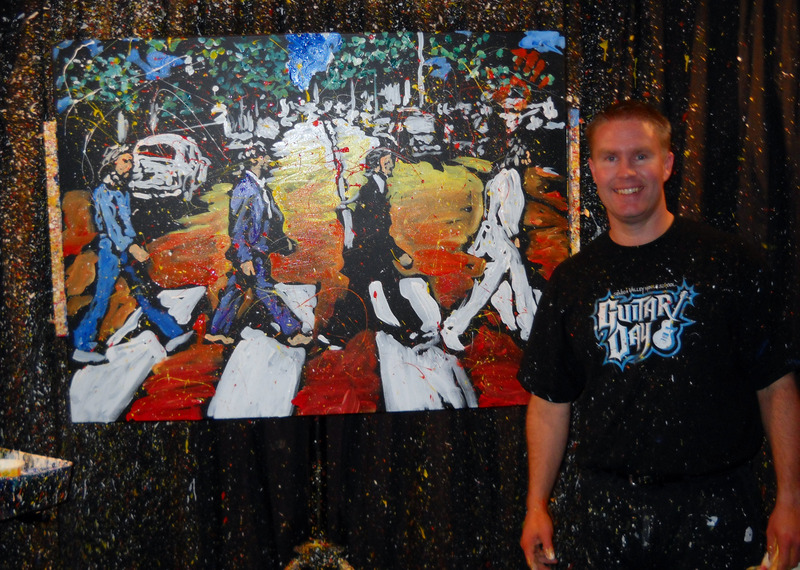 Speed Painter George can capture the iconic Abbey Road by the Beatles. 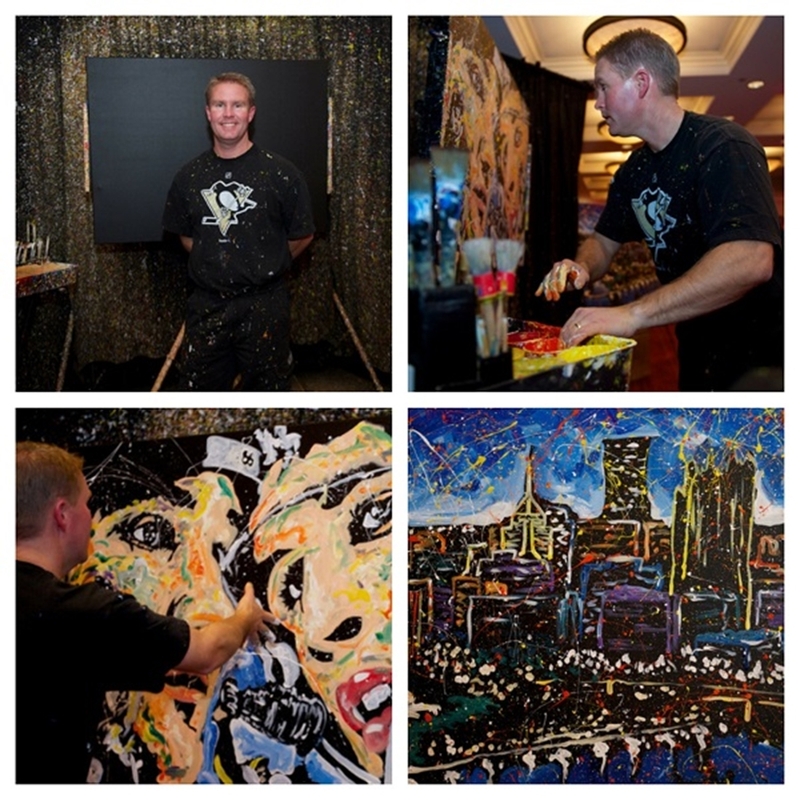 From Pittsburgh skylines to Pittsburgh Penguins, George's paintings are original and unique creations! Live Action Portraits by Painter George Williams - from musicians to pop culture icons & much more. Are you ready to book George Williams for your next event? Providing entertainment for corporate events, colleges, conventions and private parties across the country.